It’s normal to get heartburn every so often, especially when you eat salty or fatty foods, but it shouldn’t be an everyday occurrence. If you find yourself frequently experiencing heartburn, the cause may be acid reflux disease, or gastroesophageal reflux disease (GERD). At Arlington Gastroenterology Services, board-certified gastroenterologist Hamid Kamran, MD, FACG, helps you to manage GERD through medication and diet and to prevent long-term complications, such as Barrett’s esophagus and esophagitis. To get treatment for reflux disease, call the office in Arlington, Texas, or use the online booking tool. At the bottom of your esophagus, where it meets your stomach, is a valve called the lower esophageal sphincter (LES) When you swallow, the LES is supposed to relax to allow the food or liquid to clear the esophagus and enter your stomach, and then close again. Acid reflux happens when your LES doesn’t close properly, allowing stomach acid to flow up into your esophagus. The telltale symptom of acid reflux is a burning sensation known as heartburn. Though the name may suggest otherwise, heartburn doesn’t have anything to do with your heart. The cause is stomach acid irritating your esophagus, though you feel the pain in your chest. Occasional heartburn isn’t cause for concern. However, heartburn more than twice a week may be a sign of gastroesophageal reflux disease (GERD). Other symptoms of GERD include tasting sour liquid in your throat, having trouble swallowing, and feeling like there’s a lump in your throat. In mild cases of GERD, these changes, along with the occasional use of over-the-counter antacids, are enough to control symptoms. Depending on the severity of your condition, Dr. Kamran may also prescribe medication to heal your esophagus and reduce stomach acid production. Even if you take medication for GERD, however, it’s necessary to pay close attention to your diet. Treating GERD includes managing long-term complications in addition to improving symptoms in the short-term. When left untreated, stomach acid can inflame your esophagus, causing a condition known as esophagitis. Esophagitis can cause ulcers, difficulty swallowing, and scarring, and sometimes leads to esophageal cancer. Barrett’s esophagus is a complication that affects some people with long-term GERD. Sometimes, in response to inflammation, the tissue in your esophagus changes to more closely resemble stomach tissue. Barrett’s esophagus doesn’t itself cause symptoms, but it means you’re at increased risk of developing esophageal cancer, and early detection is the best way to prevent that complication. 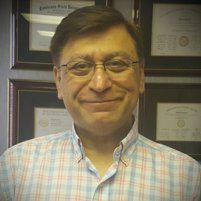 Dr. Kamran may test you for Barrett’s esophagus if you have GERD. If there are signs of changes to your esophageal tissue, he closely monitors the condition. You may need to undergo a procedure that targets the abnormal tissue, but managing your GERD often prevents Barrett’s esophagus from progressing. To get treatment for acid reflux disease, also known as GERD, schedule an appointment at Arlington Gastroenterology Services online or over the phone.